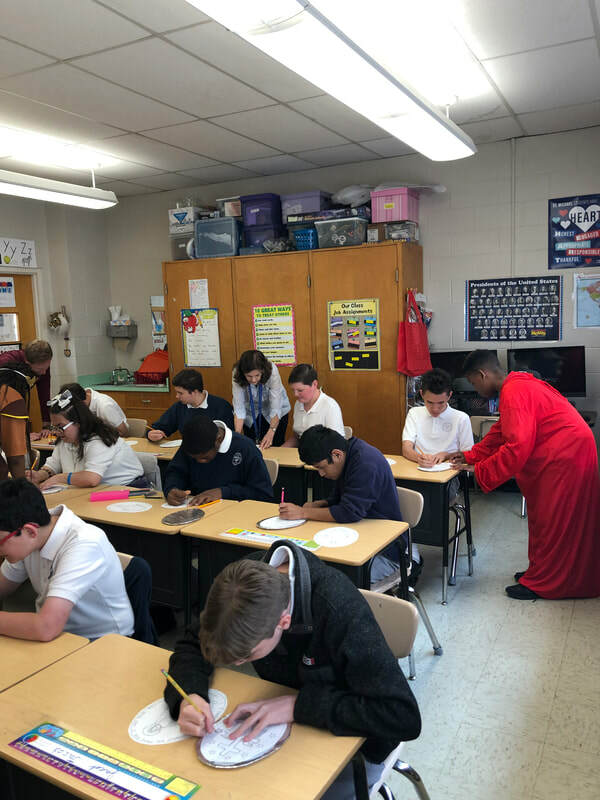 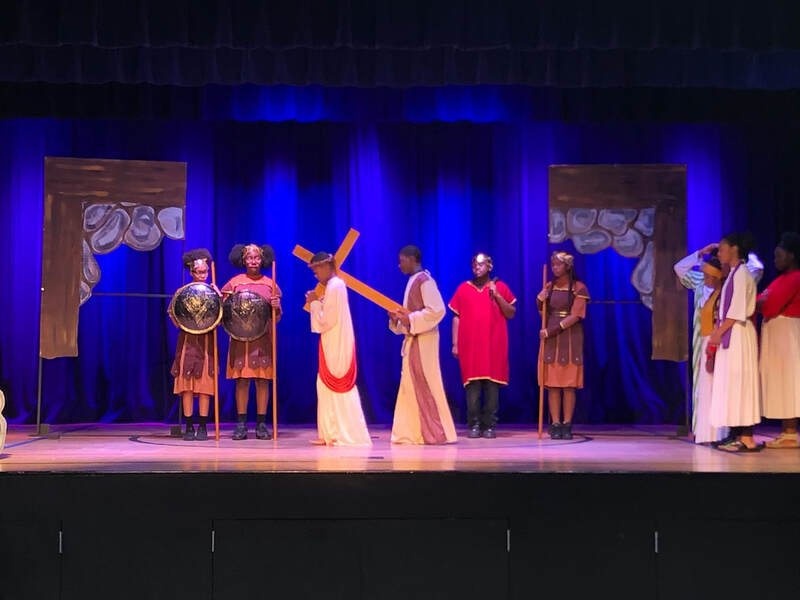 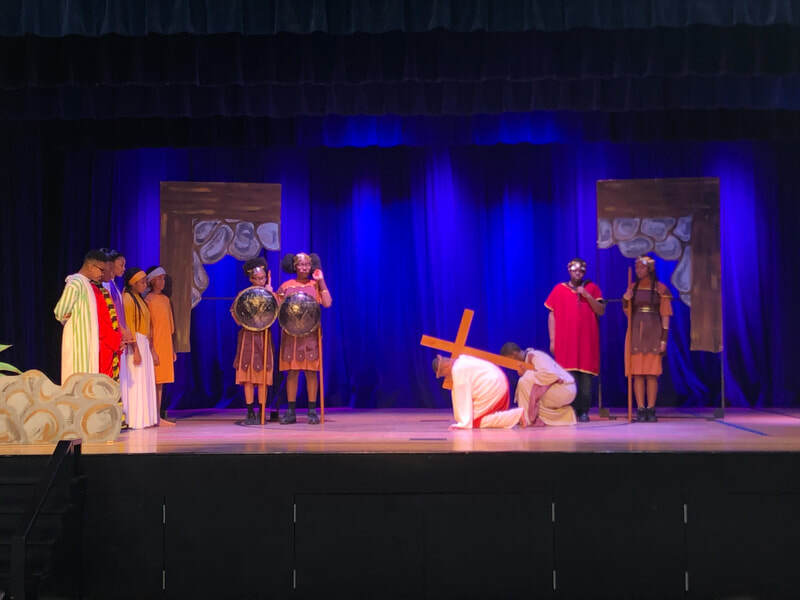 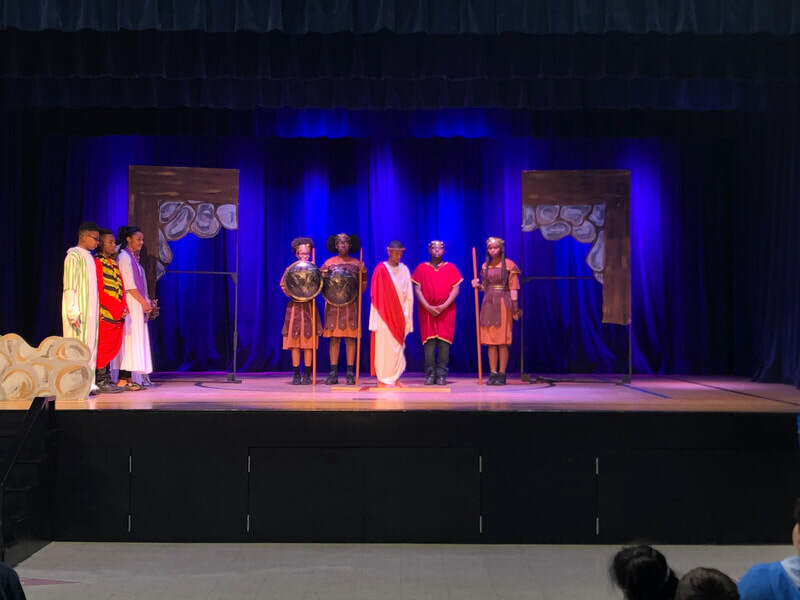 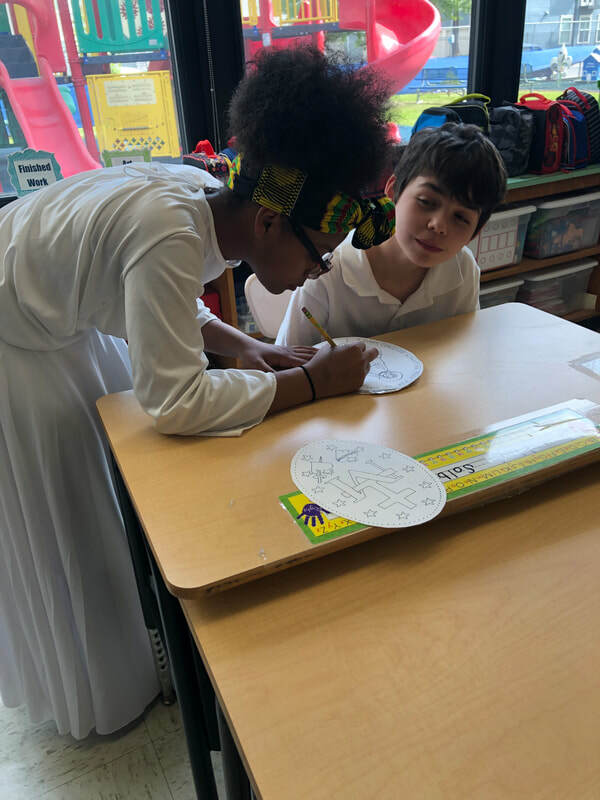 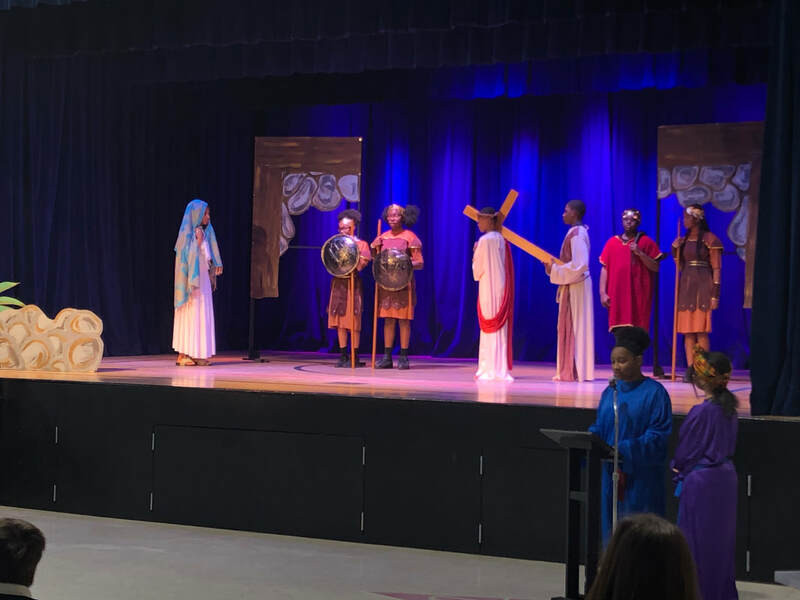 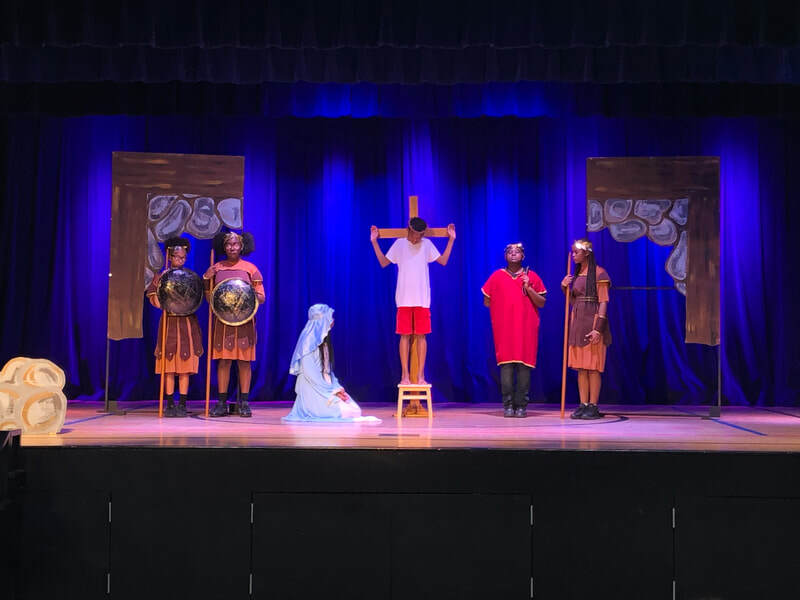 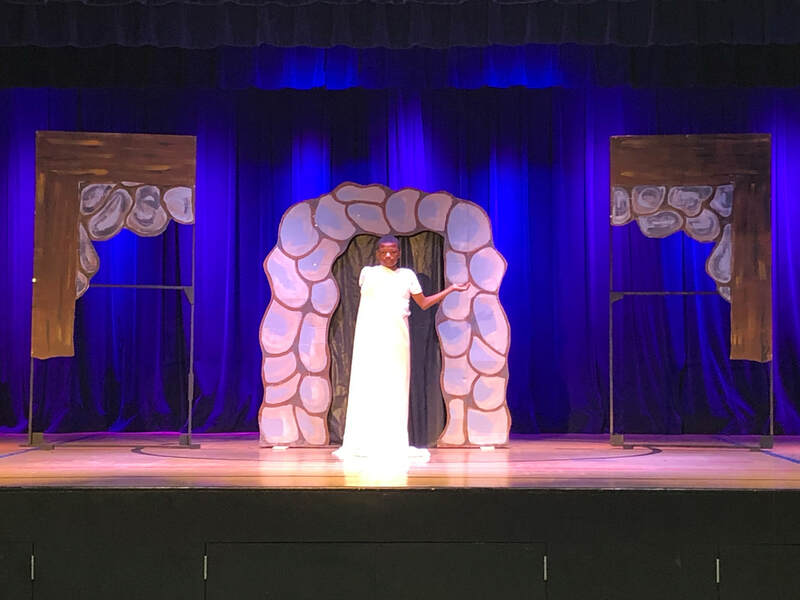 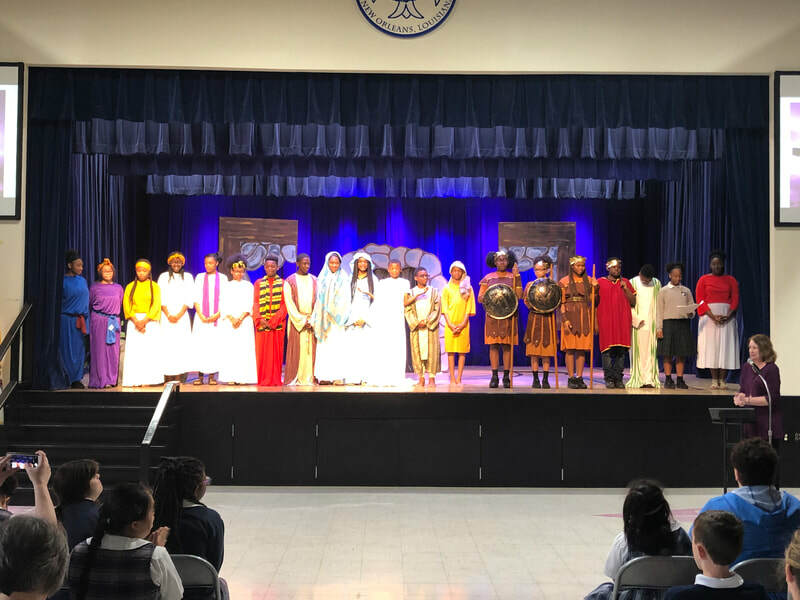 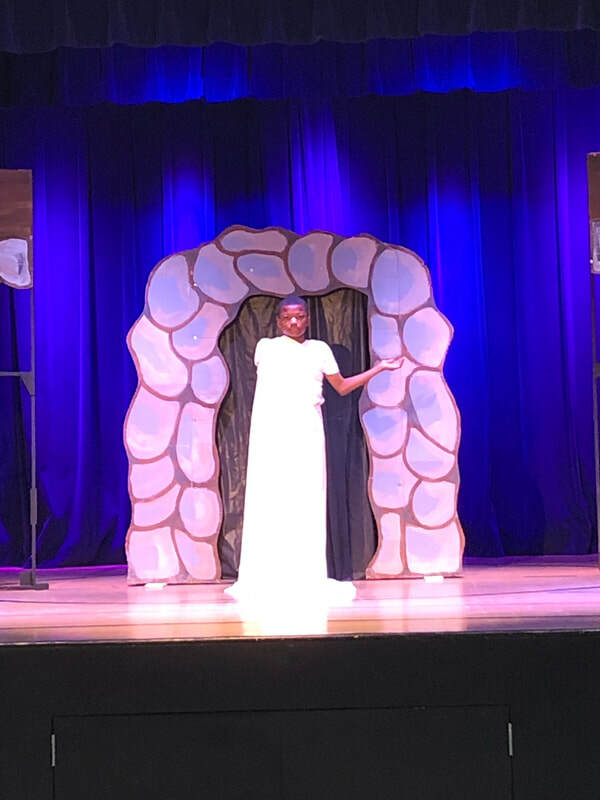 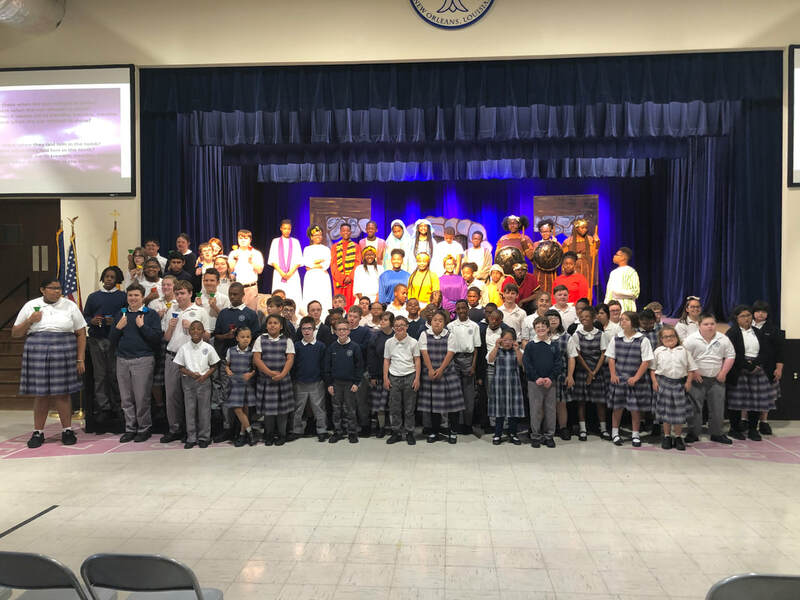 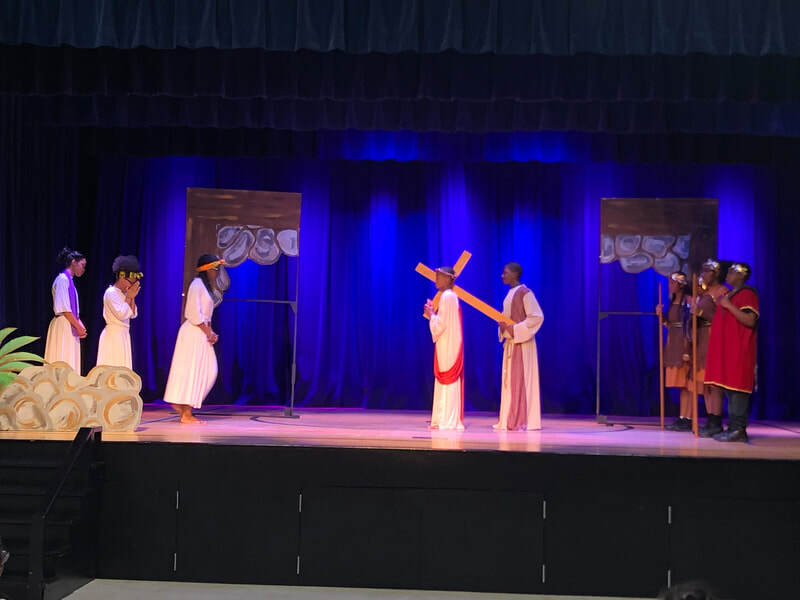 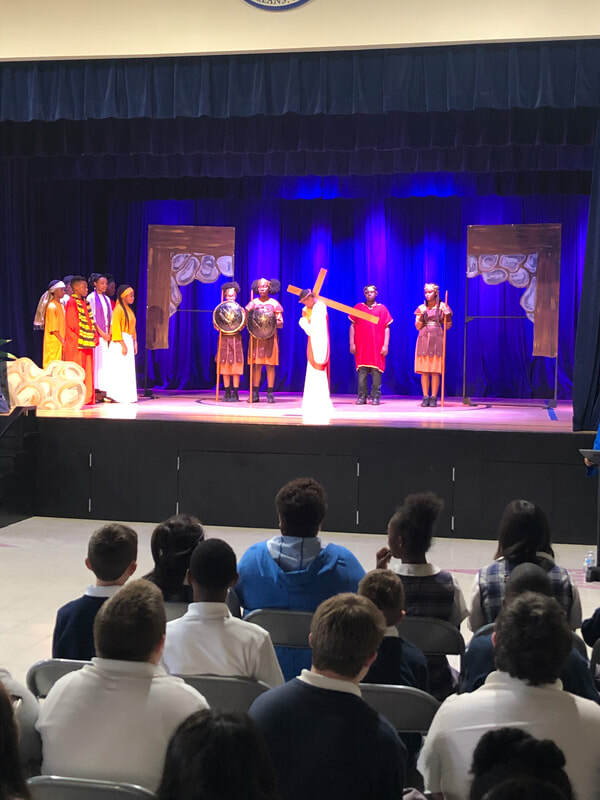 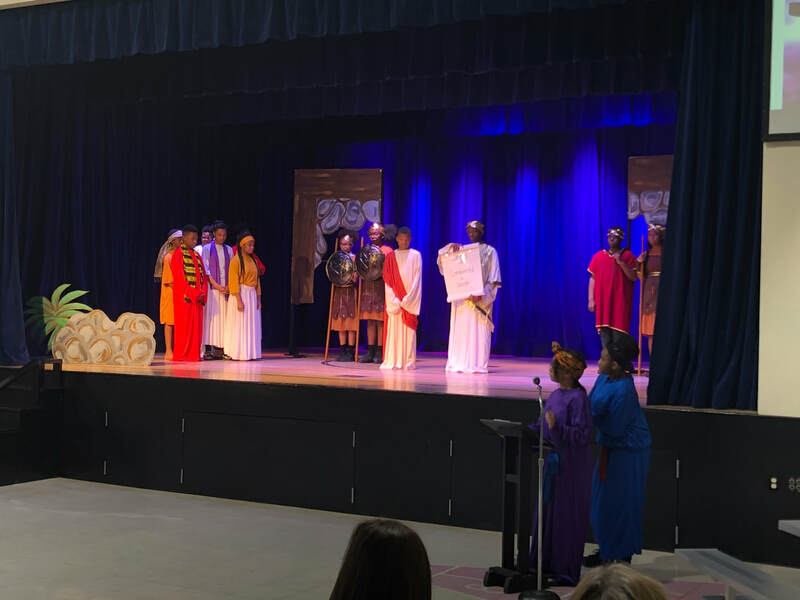 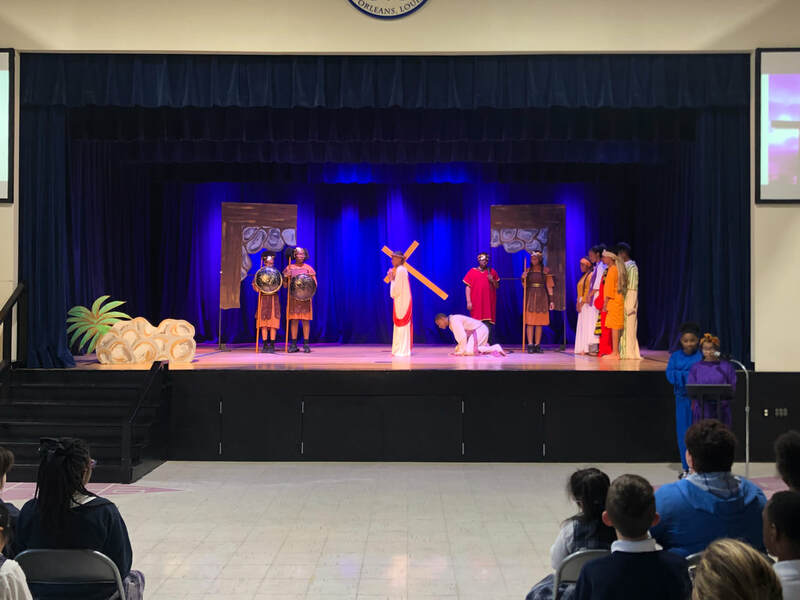 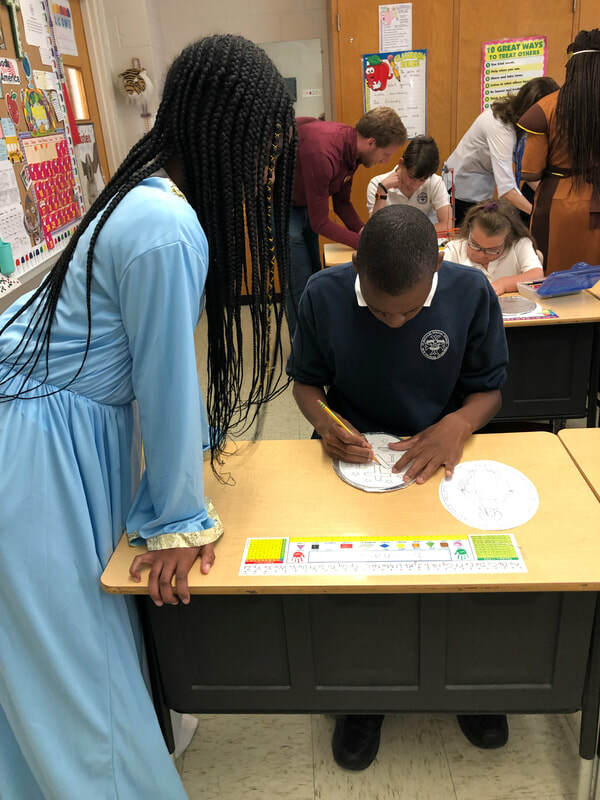 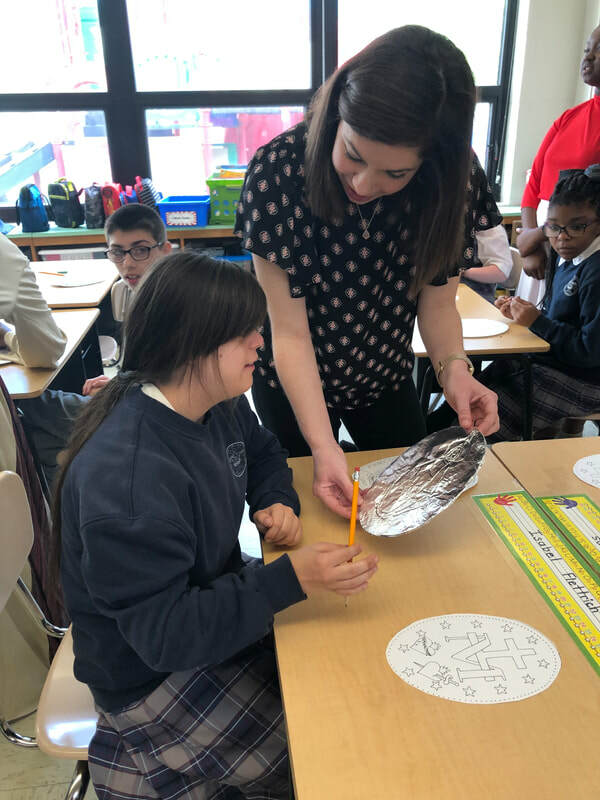 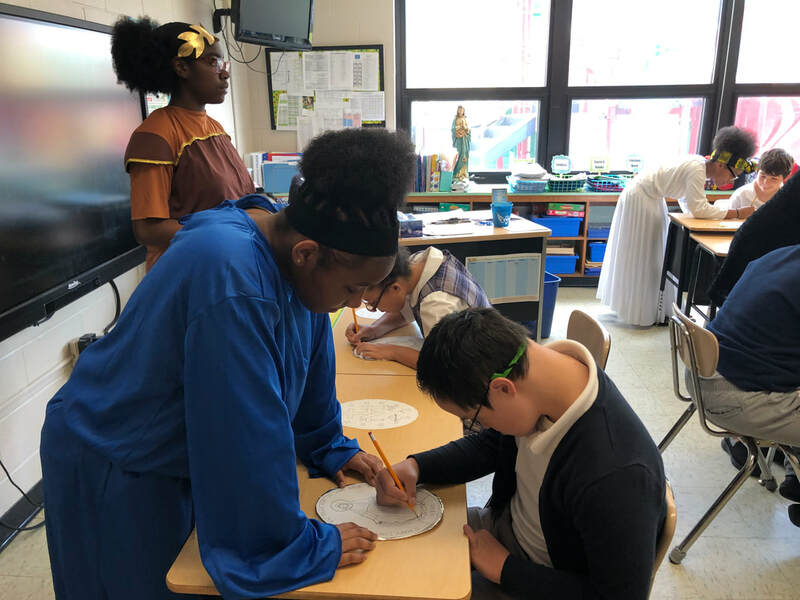 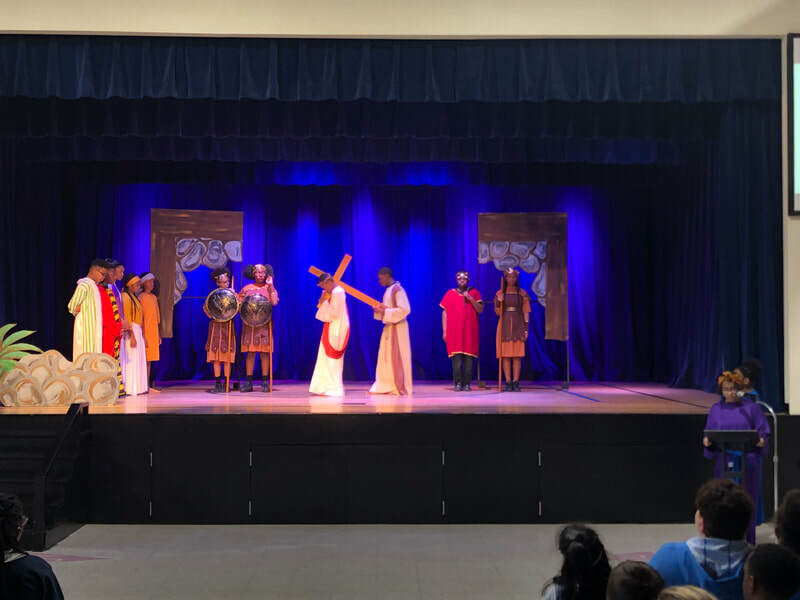 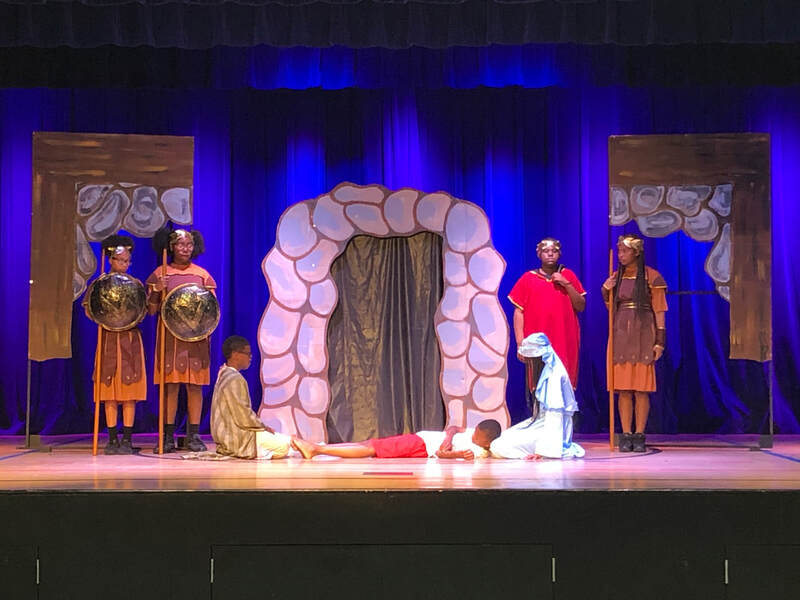 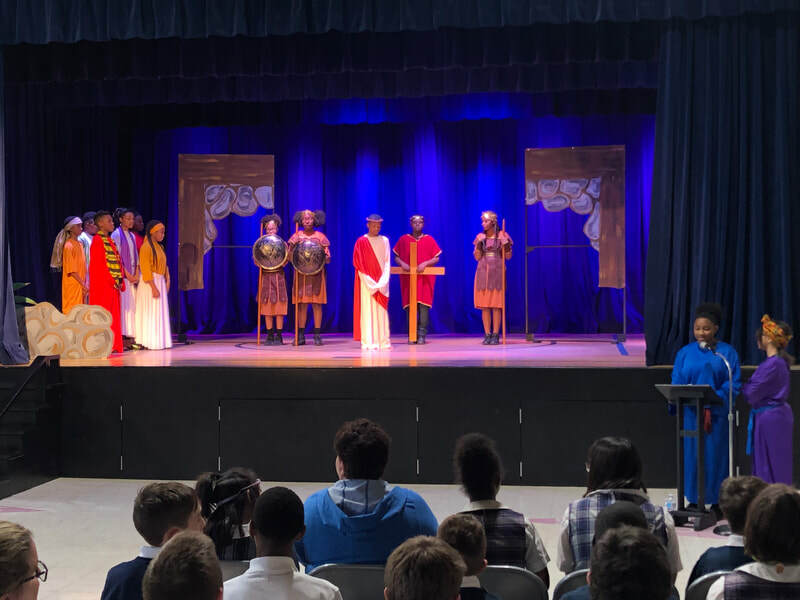 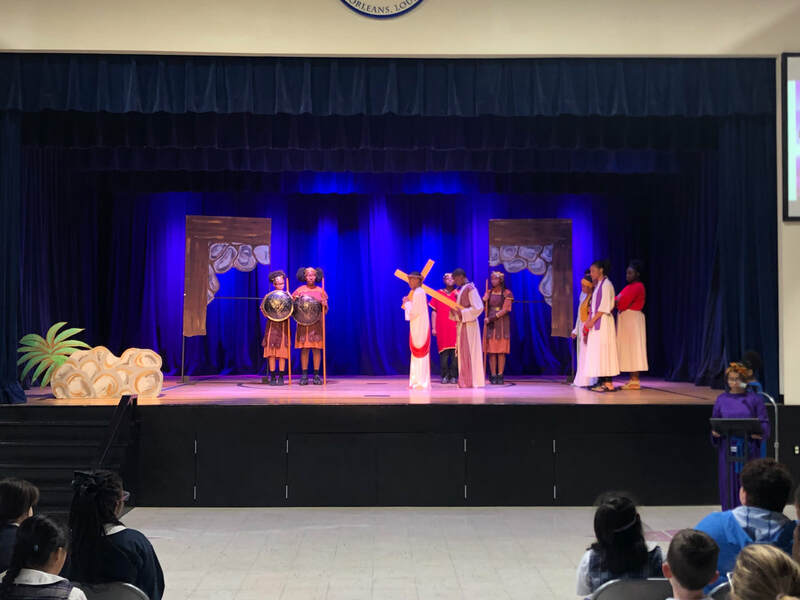 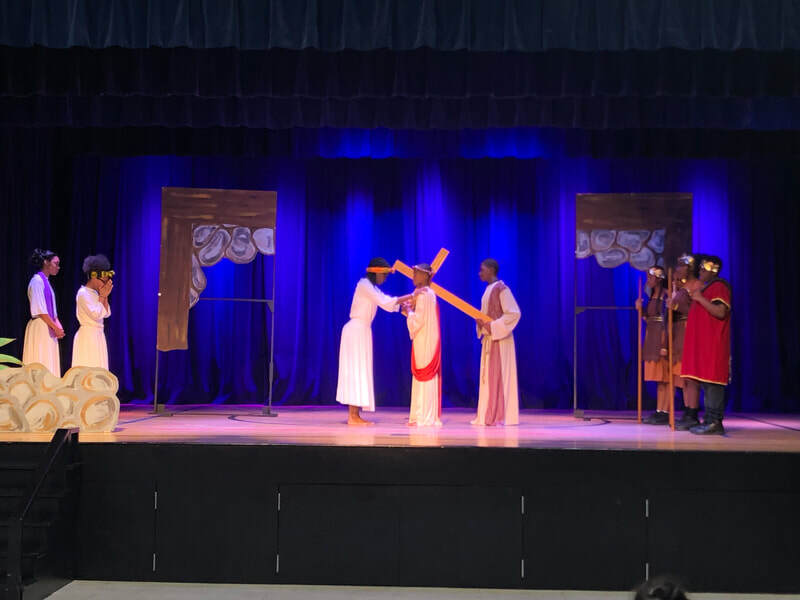 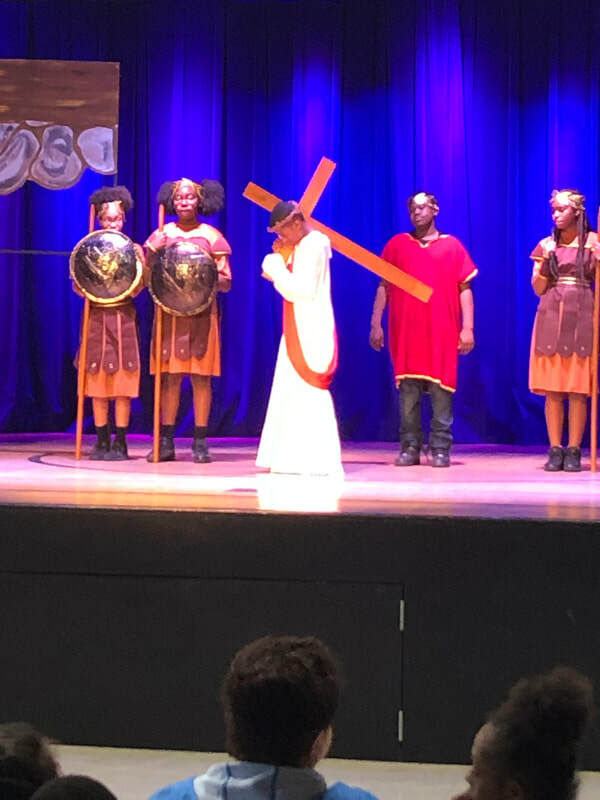 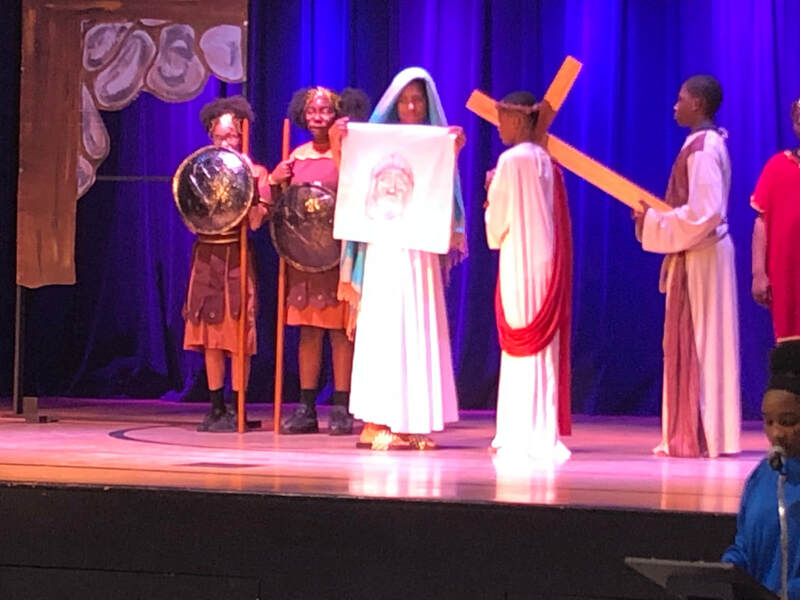 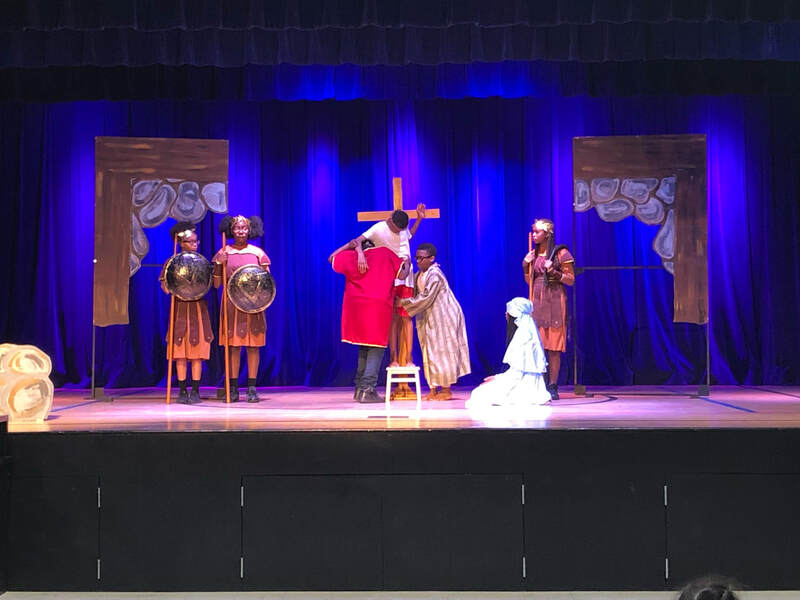 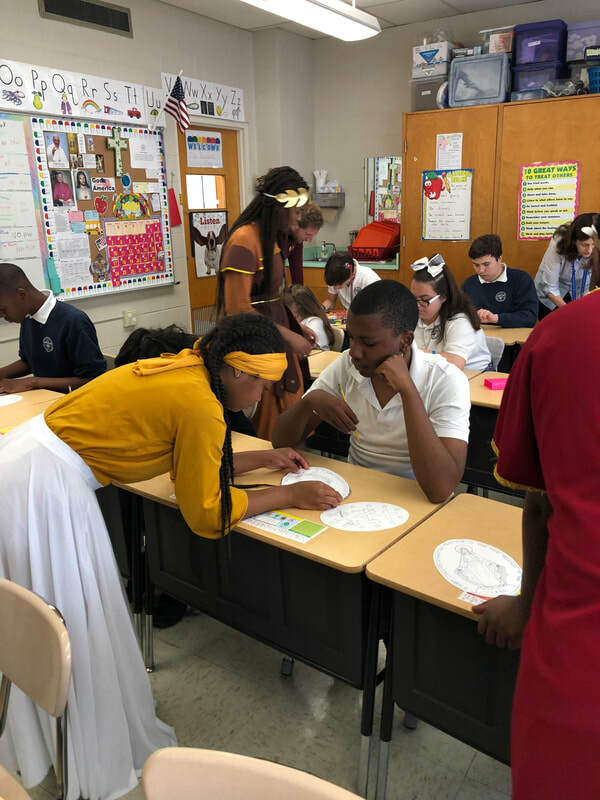 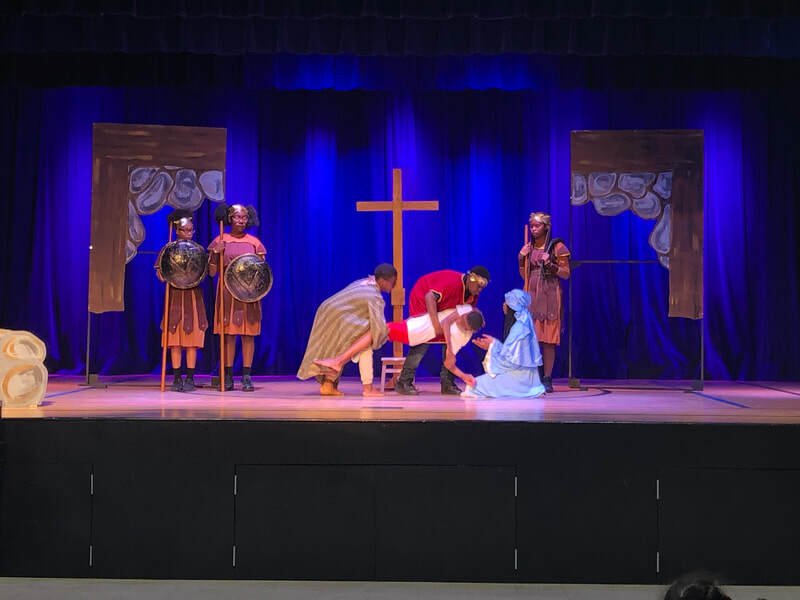 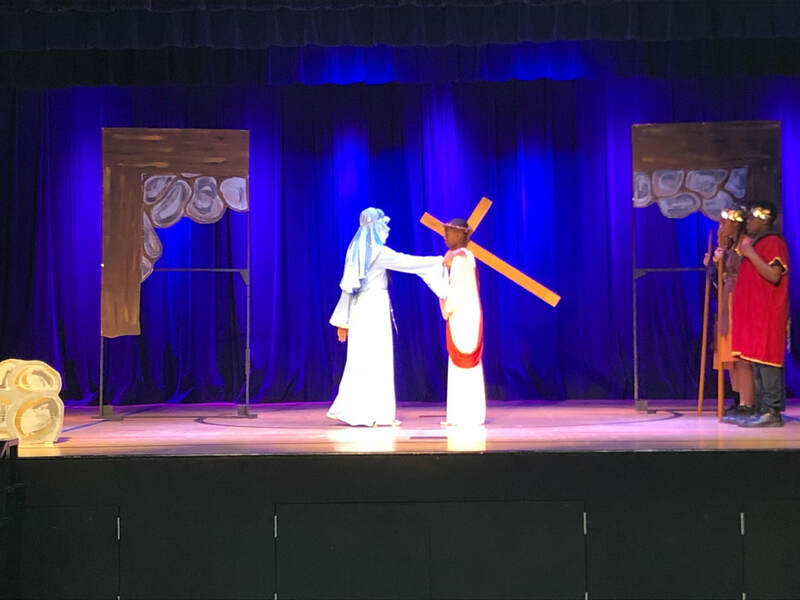 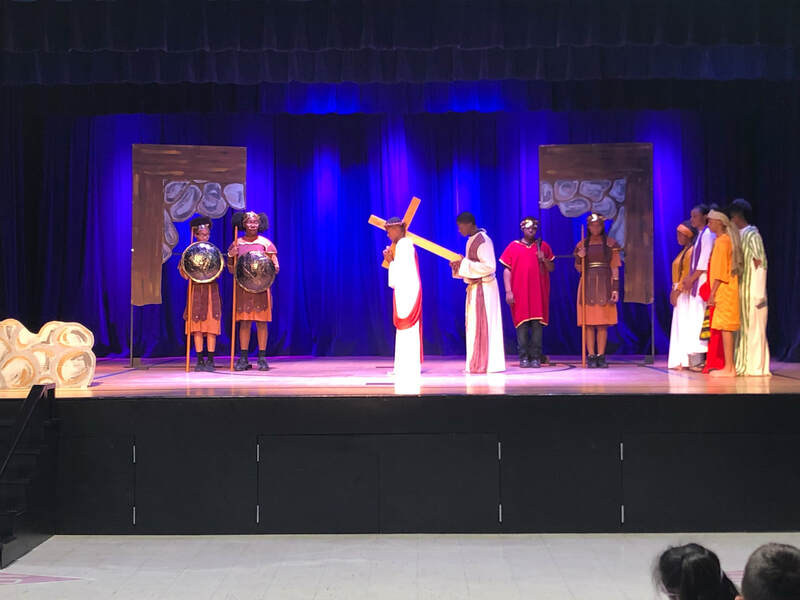 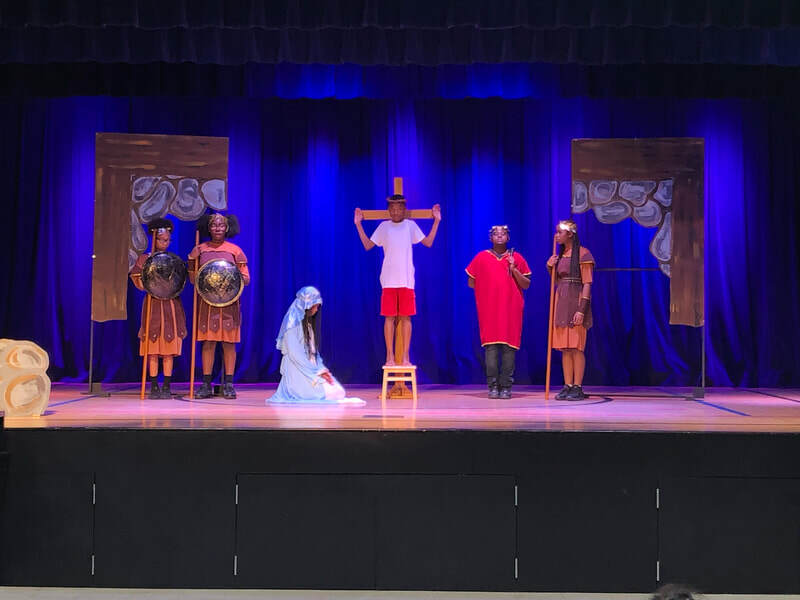 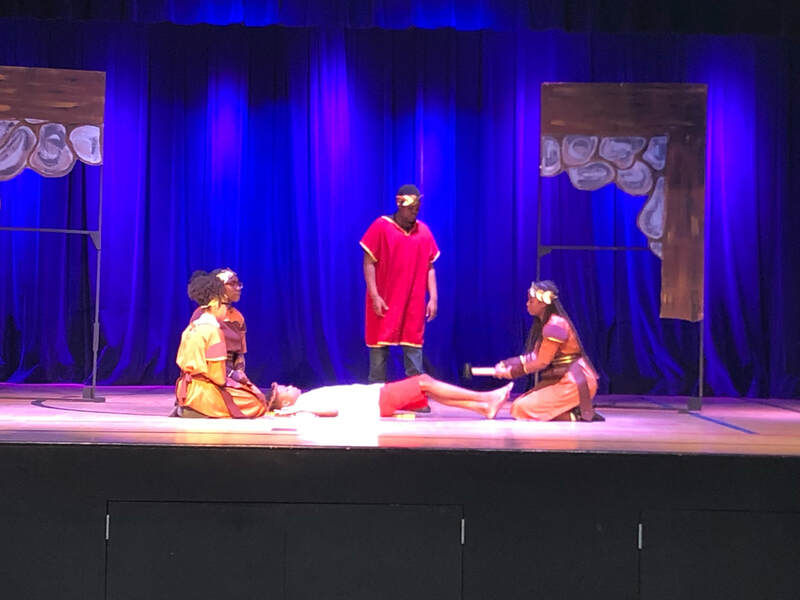 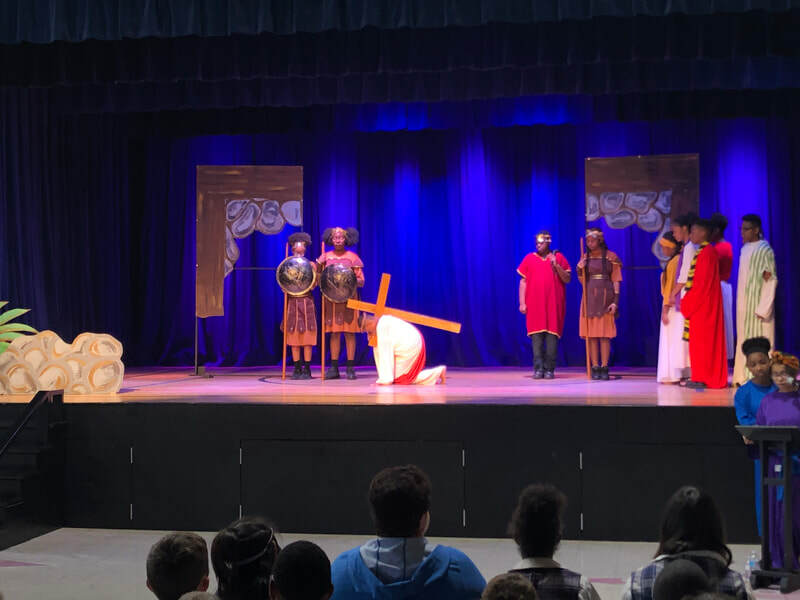 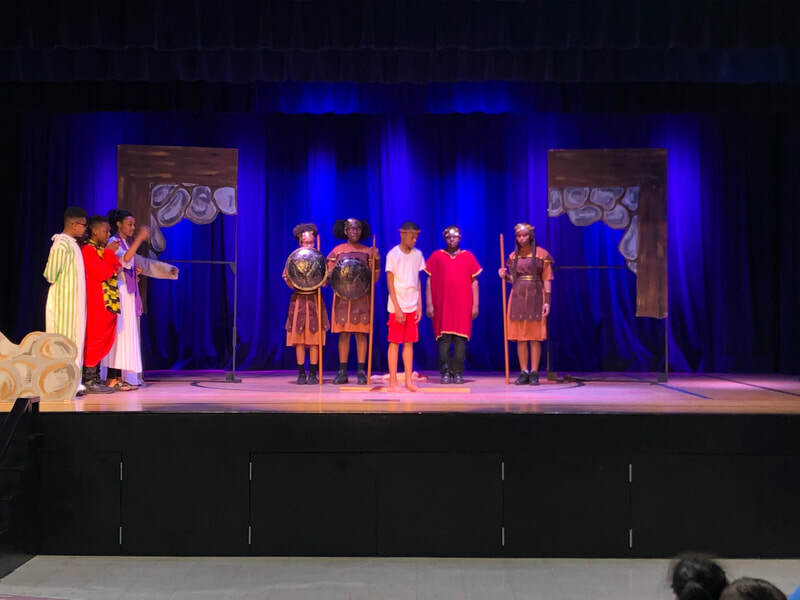 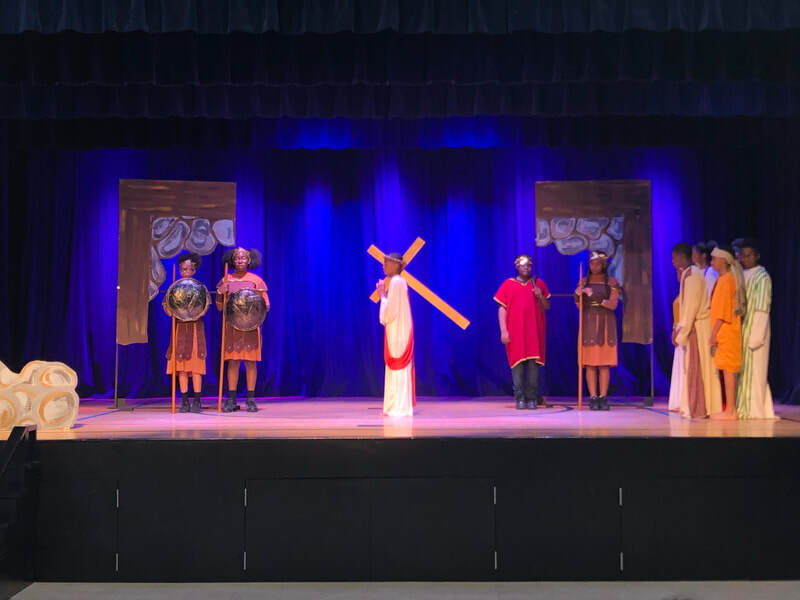 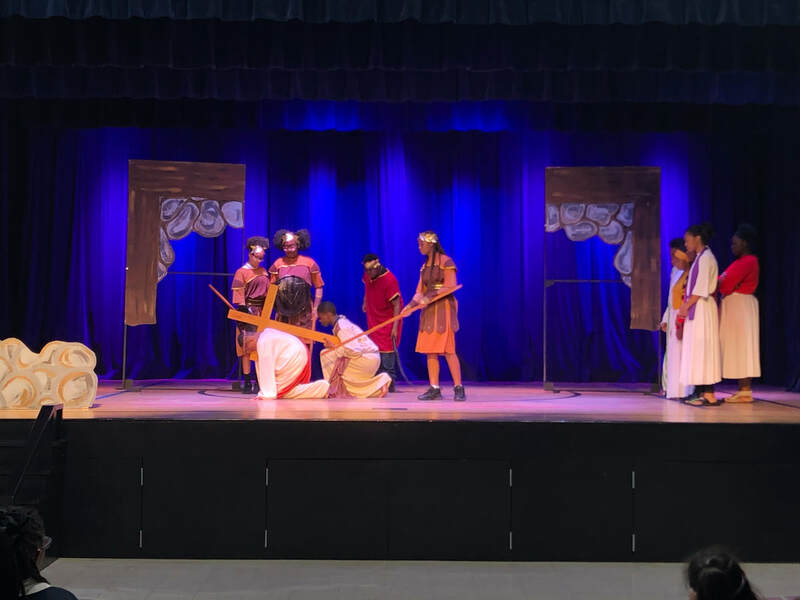 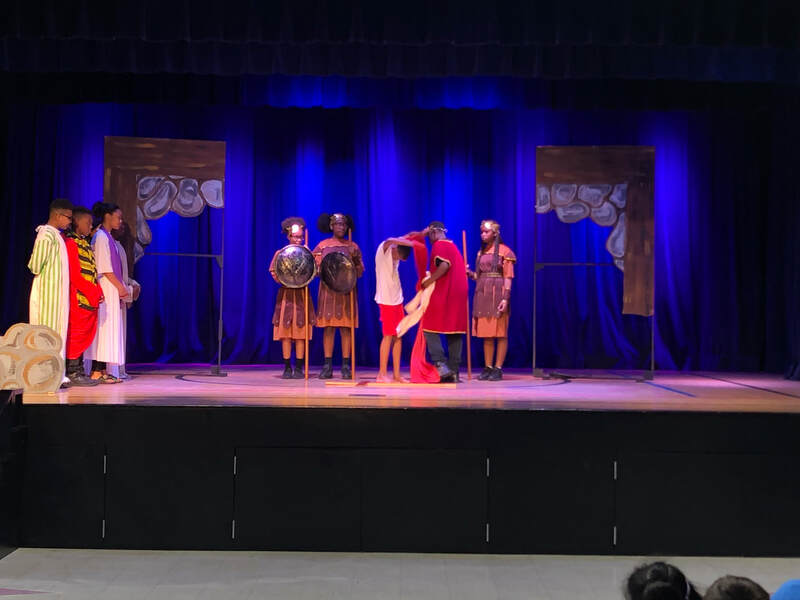 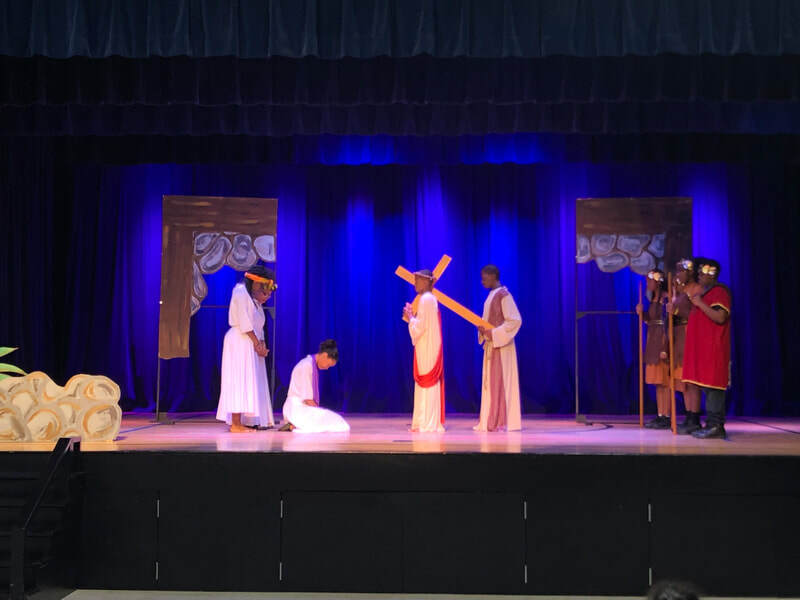 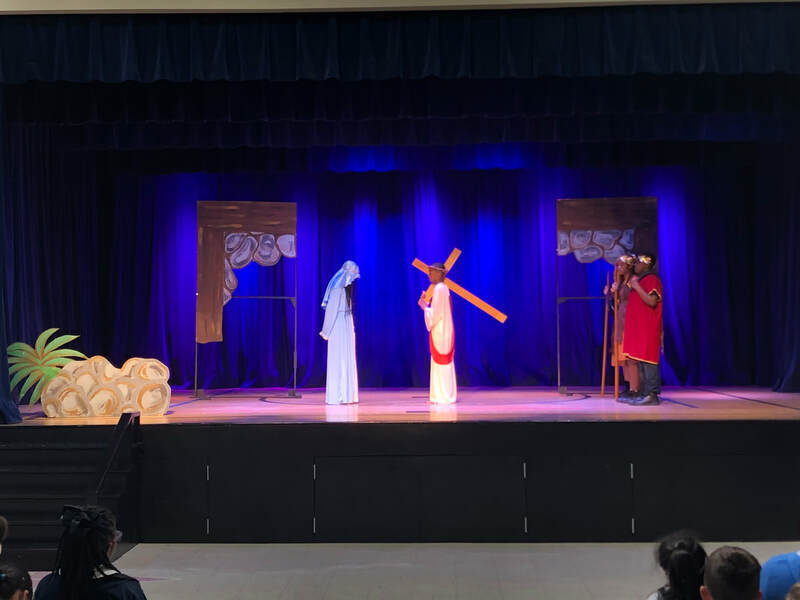 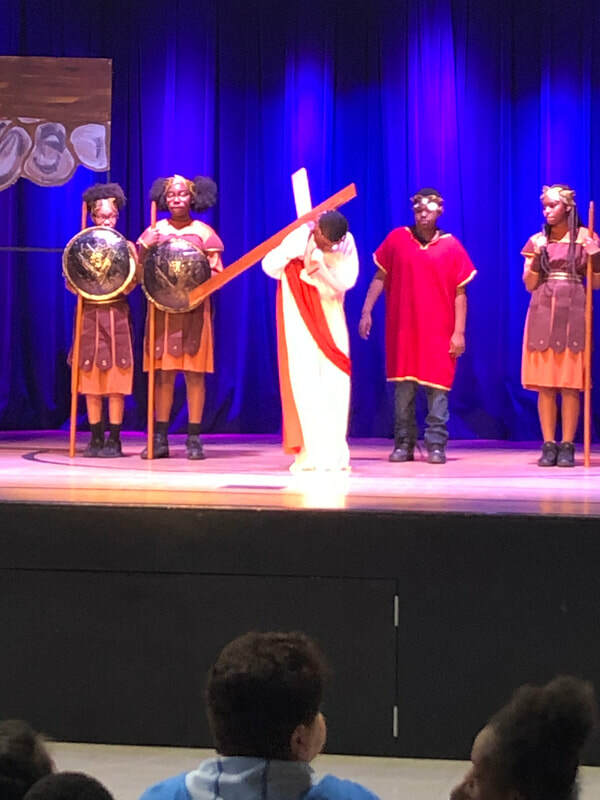 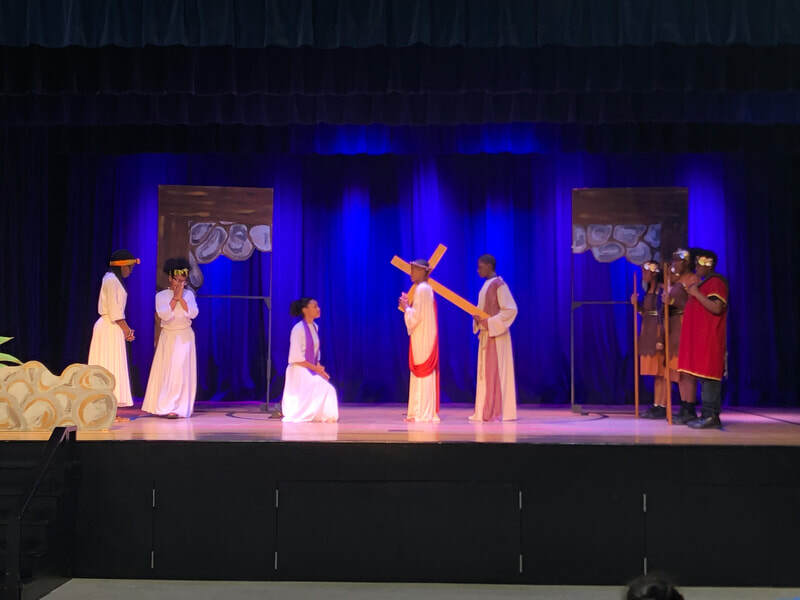 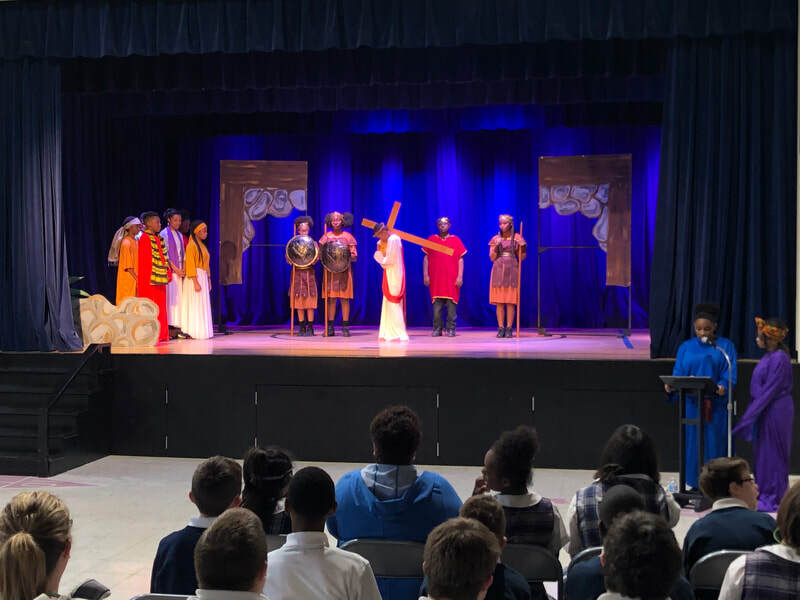 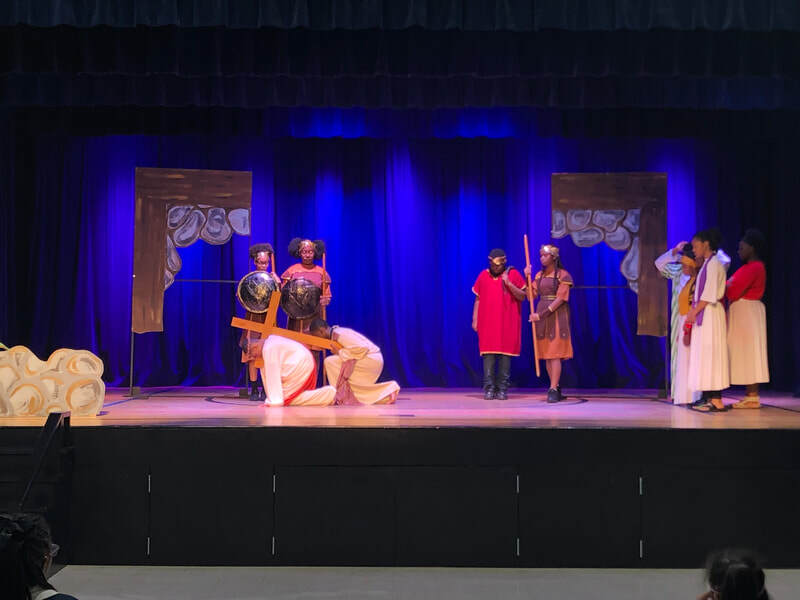 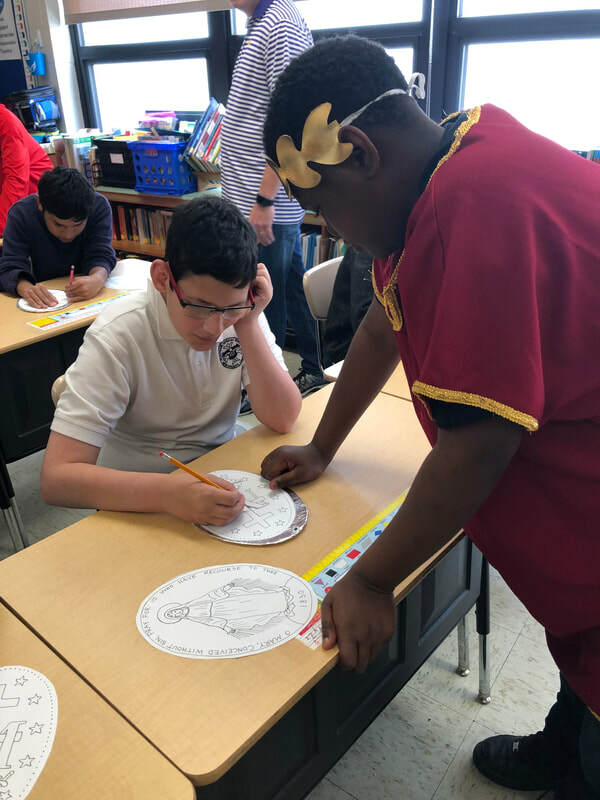 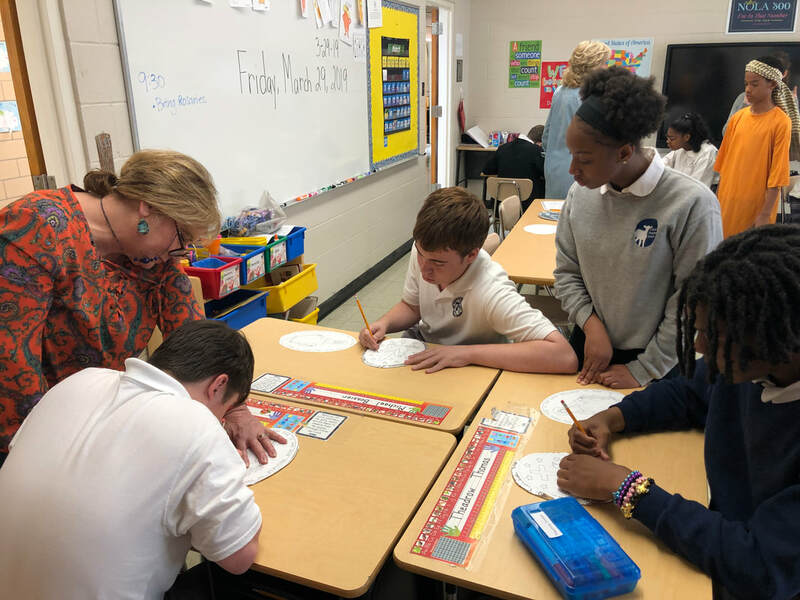 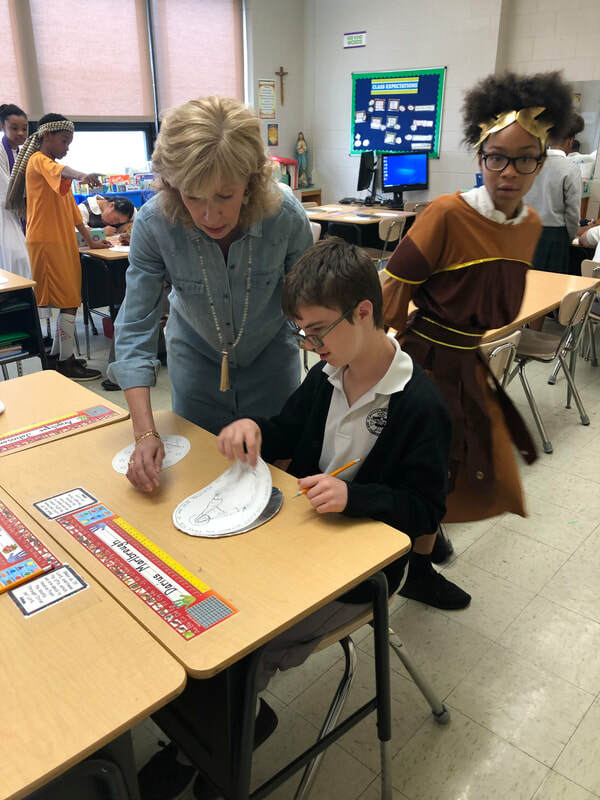 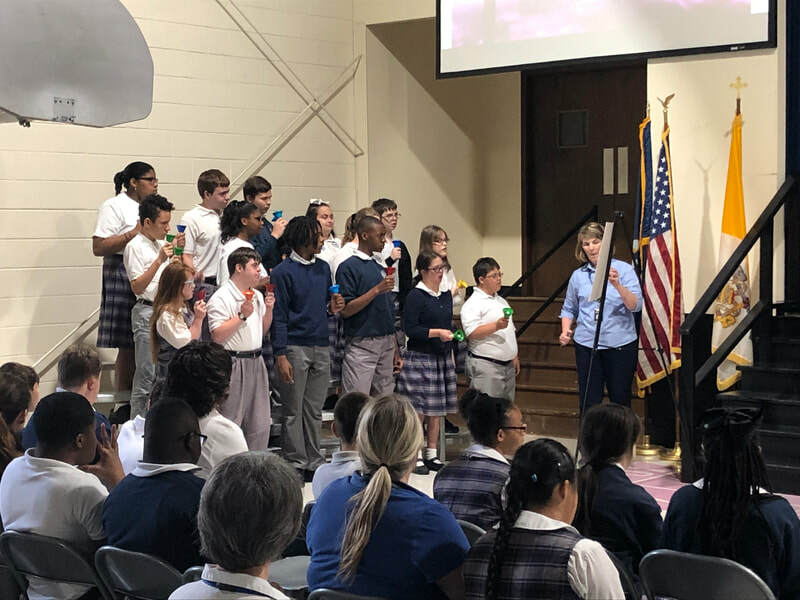 Last Week, members of the GSS 7th grade performed the Stations of the Cross for the students of St. Michael's Special School. 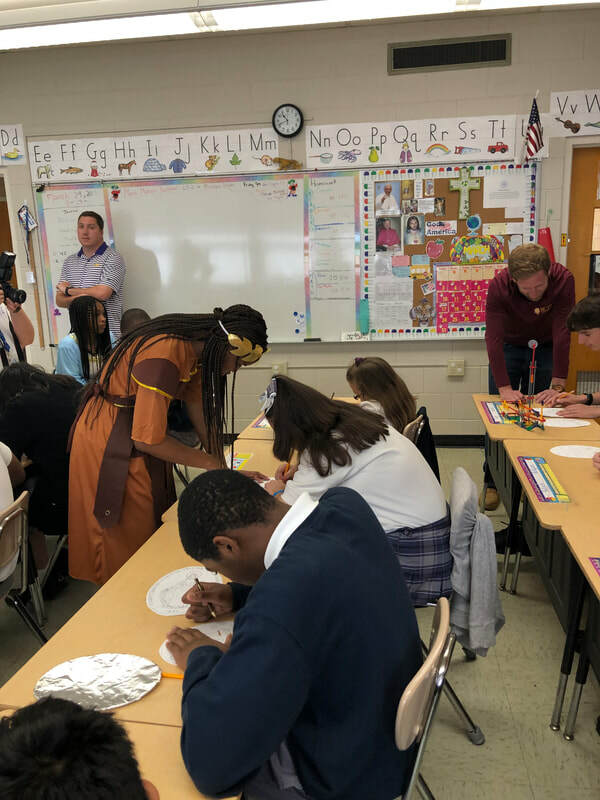 After the performance, the GSS students hosted an art project for some of the St. Michael's students. 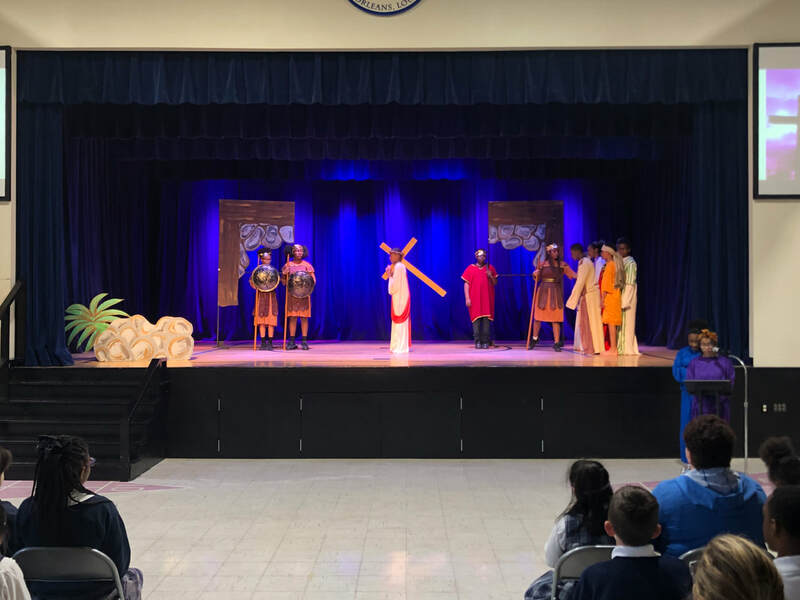 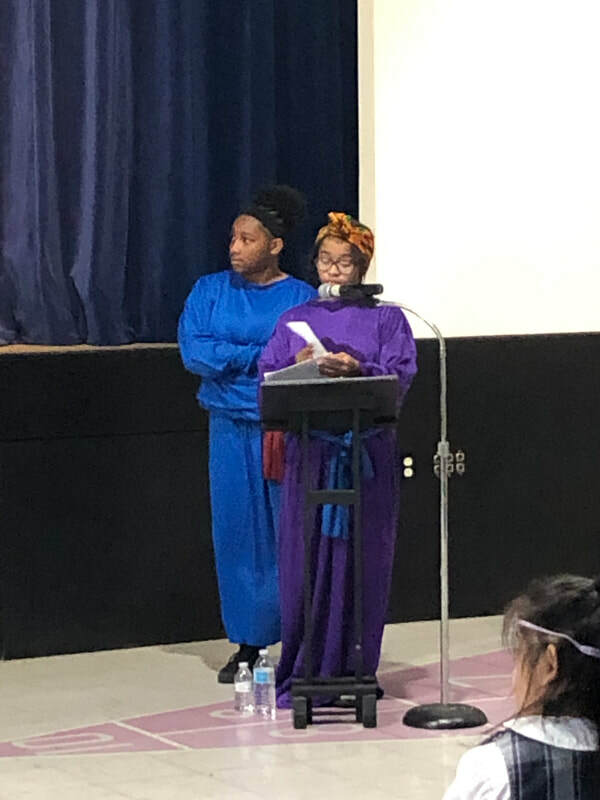 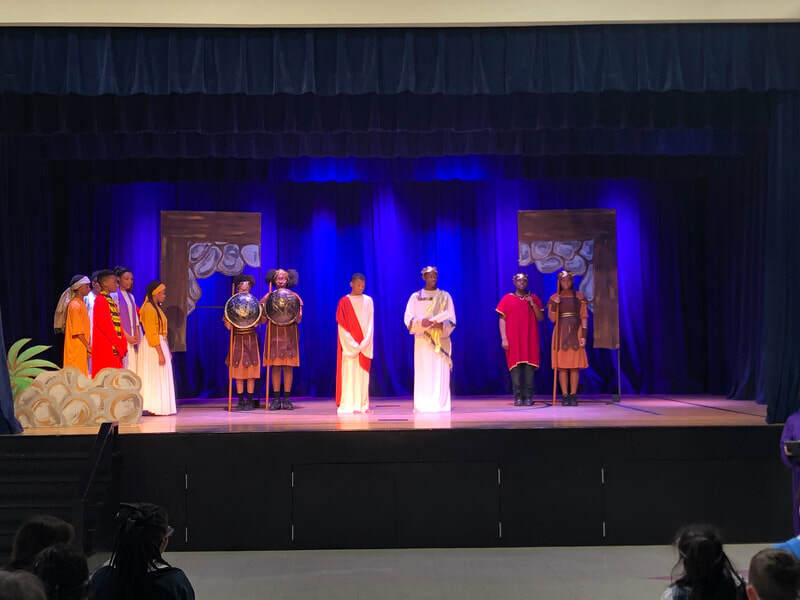 The performance is organized by Ms. Michelle Lucio and will again be performed for the students at GSS before the Easter break.